Set astride the wide Ping River and framed by forested mountains in the west, the provincial capital of Kamphaeng Phet is best known for a small but worthwhile historical park. Hang around and you’ll find a fun riverfront with several good markets, spirited locals and very few tourists. Kamphaeng Phet, a name that means Diamond Wall, was a key defensive stronghold for the Sukhothai kingdom from the 13th to 15th centuries and remained relevant when it came under the sway of Ayutthaya. “A battlefield on many occasions” according to the excellent National Museum, the city was flattened during the Burma-Siam war of the 1760s. Pieces of original earthen walls still stand around the old city as testaments to its medieval military might. While readiness for warfare was paramount, Kamphaeng Phet was also an important commercial and religious arm of Sukhothai. It’s believed that Phra Kaew -- the Emerald Buddha now enshrined in Bangkok as Thailand’s most sacred Buddha image -- was temporarily placed at Kamphaeng Phet’s own Wat Phra Kaeo before flying off to Chiang Rai in 1434. The remains of several ancient monasteries and monuments are now part of Kamphaeng Phet Historical Park, a UNESCO world heritage site as of 1991. The ruins display a mix of Ayutthaya-period art adorning older architecture from the Sukhothai period, and this makes them unique when compared to the related ruins found at Sukhothai and Si Satchanalai. We feel that Kamphaeng Phet Historical Park is the least impressive of the three, but it’s no slouch either. And Kamphaeng Phet is much more than just a clump of ruins. Along a riverfront that’s invigorating and relaxing in equal measure, some of the locals play basketball or tennis while others settle into funky bars to kick back with some live music. Most hit the night market to grab a grilled fish or flowers for a sweetheart. If we could pick only one city to get a feel for the laidback lifestyle of Thailand’s lower north, Kamphaeng Phet would be it. Further afield, Khlong Lan National Park boasts a spectacular waterfall in the mountains of western Kamphaeng Phet province, while Mae Wong National Park is a favourite of campers and wildlife photographers. You could also go for a soak at the Phra Ruang hot springs, located 13 kilometres north of Kamphaeng Phet town, or head south towards the Nakhon Sawan border to see hundreds of monkeys hanging around a limestone massif known as Khao Kor. Few travellers make a stop in Kamphaeng Phet and many of those who do come on a day trip from Sukhothai, often as part of a tour. That’s a shame, as the city is located along a major bus route between Bangkok and Chiang Mai and getting here couldn’t be much easier. While a day is more than enough for the historical park, we suggest hanging around for a night or three at one of our favourite guesthouses in Thailand: Three J.
Kamphaeng Phet town is loosely divided into two sections, both on the east side of the Ping River. To the south stretches the modern part of town, while the historical park is located to the north within the old city walls. The two main north-to-south thoroughfares that link the two areas are Tesa and Ratchadamnoen. Road signs are clearly posted in English and walking or cycling is a pleasure. 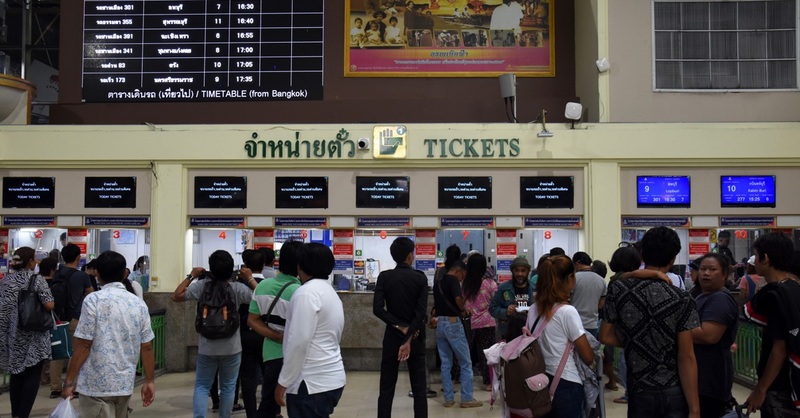 The bus station is located two kilometres west of the river off Highway 101, not far from Highway 1 (or Asia Highway), a major inter-provincial road that links Bangkok to Chiang Mai. Head east over the bridge and you’ll hit a large clock tower at a roundabout where 101 meets Tesa Road. This is the central point between the old and new parts of town: Tesa Road is referred to as Tesa 2 from here northwards and Tesa 1 from here south, and Ratchadamnoen follows suit. The front gates of the historical park’s central zone are a short bike ride north of the roundabout. Flanking the east bank of the river south from 101, Sirijit Road has scenic tree-lined steps and benches overlooking the river on one side, and a string of parks on the other. The night market is located towards the south of town, just south of Sirichit Park, between Sirijit and Tesa 1 and a stone’s throw from Chakungrao and Navarat hotels. Much of the best food and nightlife can be found in this area. The town’s two main west-to-east thoroughfares, Charoensuk and Bumrungrat, shoot straight east from Sirichit Park and serve as a commercial centre. Bumrungrat is home to a Tesco Lotus shopping centre and a huge day market where throngs of locals and provincial songthaews converge each day. Kamphaeng Phet Hospital is to the south of town off Ratchadamnoen, 1.5 kilometres south of the night market. The city police station is found a few hundred metres north of the roundabout on Tesa 2, across from Tesa 2 Soi 1 and directly south of the historical park’s central zone. There’s also a tourist police office at the bus station. Banks and ATMs are scattered along the main roads. A couple of internet cafes -- D Sport and Fasai Online -- are located just northeast of the roundabout on Tesa 2. Alternately, TK Room Net is found on Ratchavitji Road north of Ratchavitji Soi 2 -- take the first left if heading west from Three J Guesthouse and look for it on the left. Kamphaeng Phet does not have its own TAT office but there’s no need for one, as Three J provides everything you could possibly want to know about the town, historical park and province.  Please sign up as a Travelfish member to download the Kamphaeng Phet guide PDF (7.6 MB, 32 pages). Membership costs just A$35 per year (less than A$1 per week) and gives you access to over 250 PDF guides. Last updated on 13th June, 2016. Browse our independent reviews of places to stay in and around Kamphaeng Phet. Read up on where to eat on Kamphaeng Phet. Check out our listings of things to do in and around Kamphaeng Phet. Read up on how to get to Kamphaeng Phet, or book your transport online with 12Go Asia. Planning on riding a scooter in Kamphaeng Phet? Please read this. 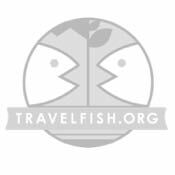 Use the above map to find specific destinations in and around Kamphaeng Phet which are listed on Travelfish. Bed icons indicate a guesthouse, hostel or hotel, the knife and fork is an eatery or bar and the four-way circular thingy marks sights, attractions and other points of interest. Click on any icon for a short pop-up and a direct link to the page for that spot. If you are in the area, use the teardrop icon near the top left to show your position on the map (you'll need to allow position sharing for this last feature to work).